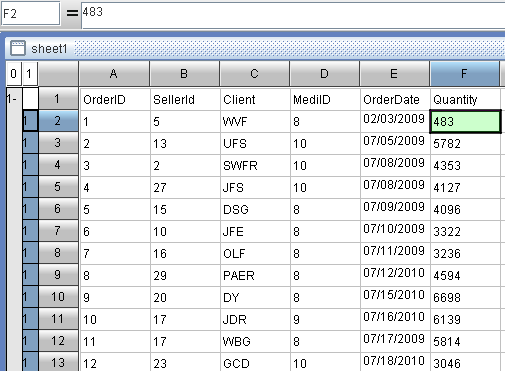 The report is a tool to use the table and statistical chart to present the data. It is the basic need to develop business, the basic means to manage the enterprise, and the basic advantage to enhance the competitiveness. The reporting software is one of the commonest tools for business personnel. esCalc is just such professional reporting software that is ideal for those business personnel lacking the technical experience to develop the static reports by themselves. A retail business is newly equipped with a supply chain management system. Besides the report shipped with system, some temporary reports may be required additionally according to the volatile market change. The cost would be obviously quite high if specially building a technical team to handle it. This job should be left to the business personnel. A bank improves the business workflow, so they need to prepare the corresponding report. For the data safety purpose, the business department needs to prepare the report all by itself. A medical products company needs to prepare a report about Clinical Practice. Preparing the report involves many concepts that may easily confuse the average technical personnel. In this case, having the business personnel to prepare the report can reduce errors. 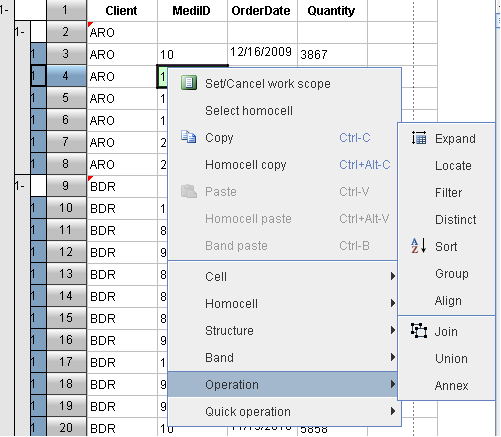 esCalc has a report design interface of grid style, easy to learn and understand, and capable of building reports rapidly. 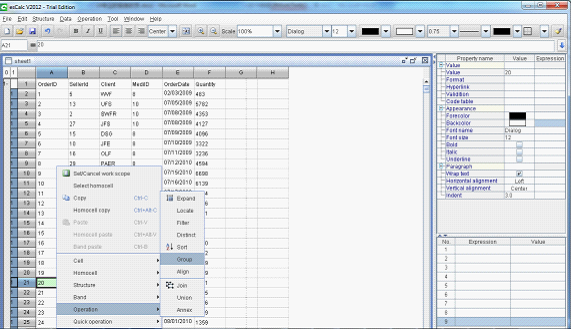 The grid-style design interface is simple and easy-to-use, saving the efforts of cumbersome data alignment procedure; Referencing the data with the cell name can avoid the complicated variable definition; With the multi-level grid, the data hierarchy and summarization can be implemented more easily. In the grid, reporting becomes more intuitively. In this way, the result can be presented undistortedly and consistently in the procedure of design, preview, print, and export.